This week we’re celebrating the accomplishments of the Cassini spacecraft which, in just a few days, will plunge into Saturn’s atmosphere in its Grand Finale. Today, we take a look at just two of Saturn’s more than 60 moons: Mimas and Pan. 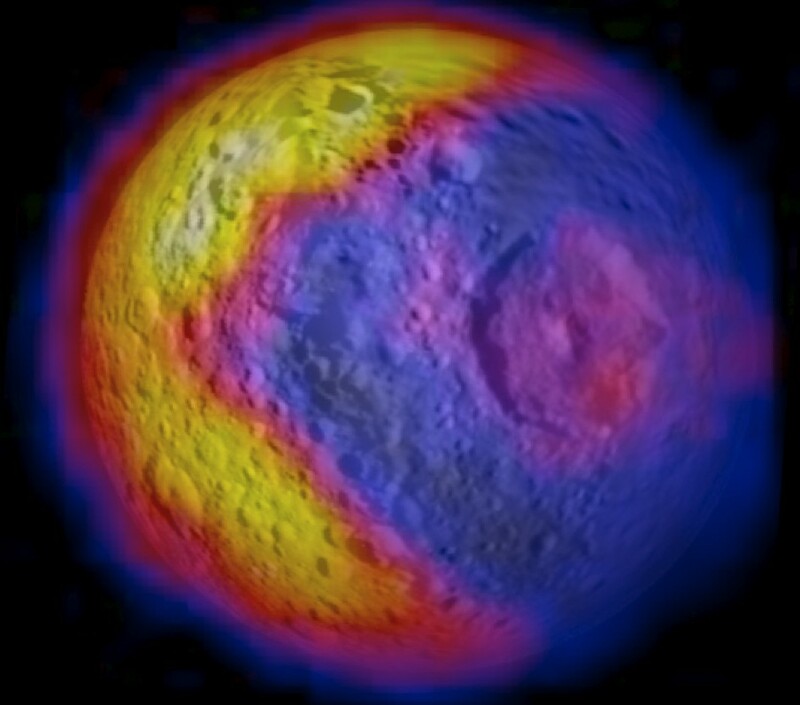 When it comes to Saturn’s moon Mimas, Cassini kept delivering surprise after surprise. First, there was a fantastic image showing us, in great detail, Mimas’s remarkable Herschel crater (Voyager 1 was the first to give us images of Herschel crater, but they paled in comparison to what Cassini revealed). 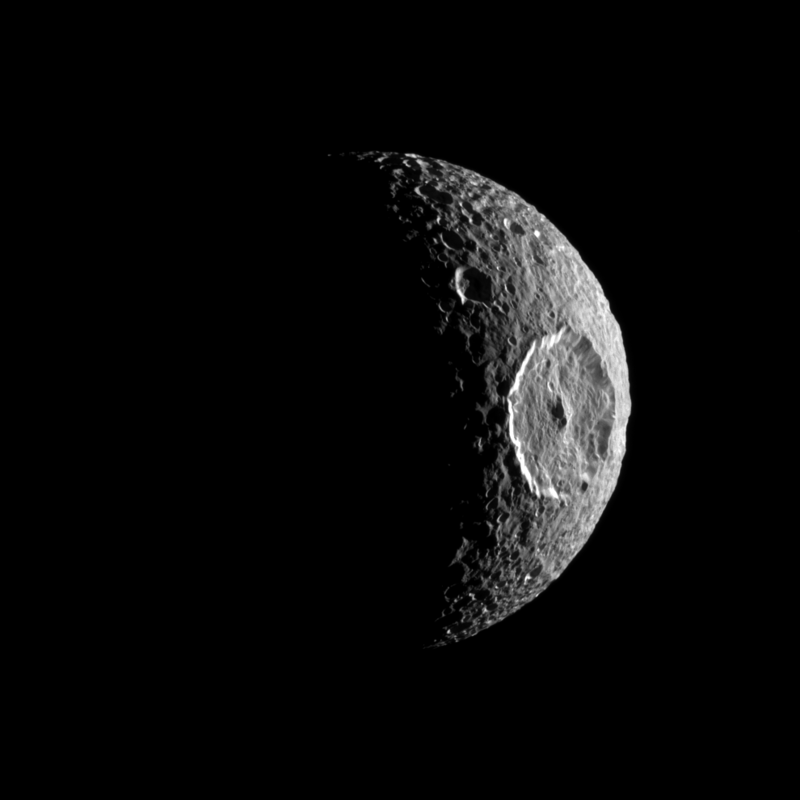 But Cassini revealed another surprise on Mimas. When it took a look at its infrared profile and created a temperature map, we found Pac-Man. While Mimas is quite a unique satellite of our beloved ringed planet, Pan certainly deserves some recognition as well. The above image was captured in March of 2017, as Cassini zoomed within 15,300 miles (24,600 kilometers) of Pan. I don’t know about you, but this moon makes me hungry for a pan of ravioli. Stay tuned, more Cassini action to come as we prepare for the Grand Finale. Tagged Cassini, JPL, Mimas, moons, NASA, Pan.